Concordia’s Ryan Noel-Hodge is a long distance runner from the farms of Quebec’s Eastern Townships. Growing up, he didn’t need the training facilities of a big city. Instead, the young athlete made use of the open fields that farm life provided. At the end of June, Noel-Hodge added to his trophy case by bringing home a bronze medal in the 10000-metre race at the 2012 Olympic and Paralympic Games in Calgary. These days, Noel-Hodge runs. And then he runs. And then he thinks about running. And then he runs again. And, almost like a home away from home, running still evokes feelings from his childhood, where he can turn his concentration to running in the open fields that he grew up in. Noel-Hodge focuses on the task that’s in front of him. When he’s running or training, he isn’t trying to figure out what he’s eating for dinner. Having only started running long distance competitively in 2008, he’s still fairly new to the sport, but he still managed to end his first year competing in the Canadian Junior Cross Country Championships. 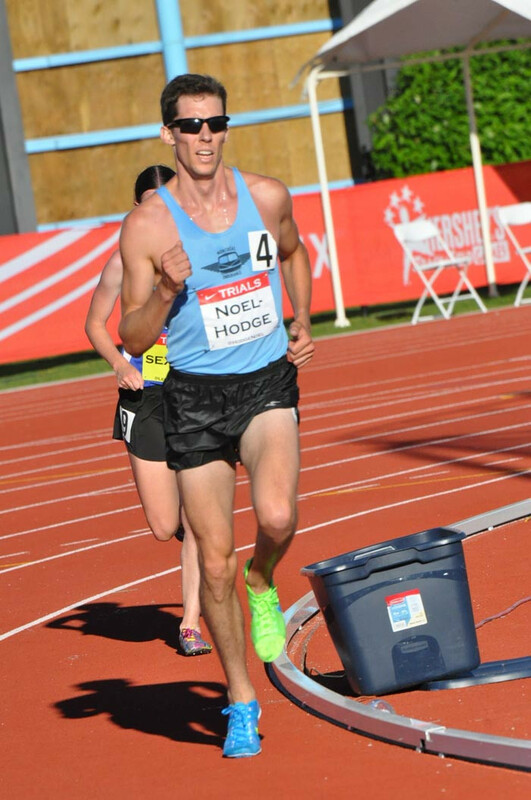 Now, with five years of competition under his belt, Noel-Hodge’s goal is to be a part of the Canadian senior cross country team and qualify for the 2016 Summer Olympics in Rio de Janeiro. What keeps Noel-Hodge motivated, he says, is the joy he gets from running. Breaking down self-set barriers while continuing to create new goals, he continues to push himself. “It’s mind-blowing when you finish a race or a workout and do something you didn’t think was possible on that day,” he said.